Three residential projects are currently taking place on Ahmad Chaouki Street. 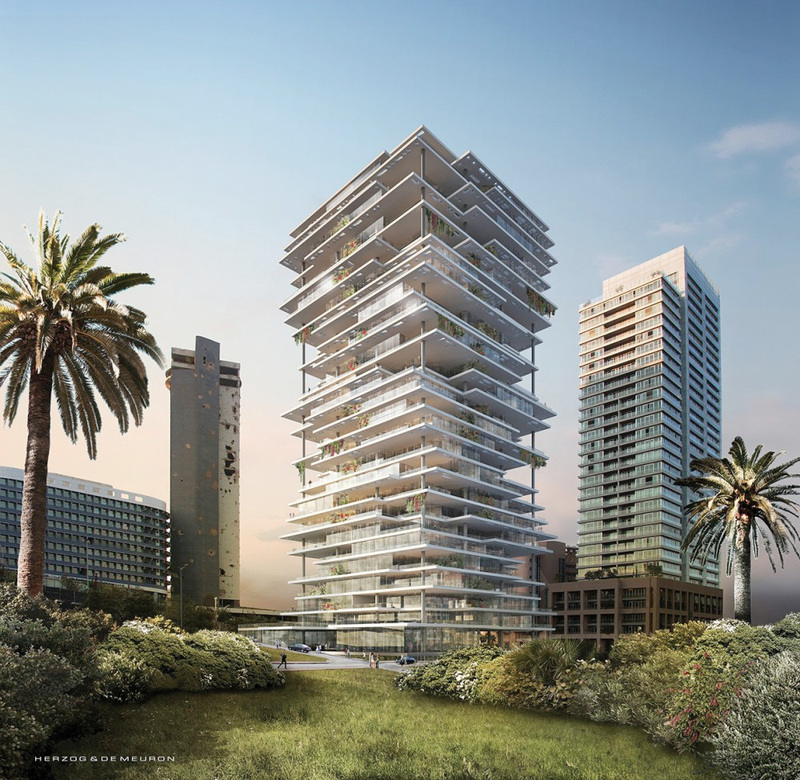 Two of them are mega-developments that will change the skyline of Beirut (Beirut Terraces and Venus Towers). The total upcoming supply is of 120,573 SQM of residential space, divided into 284 units averaging about 424 SQM each. This stock comes to complement an existing residential supply: The Platinum Tower, Beirut Tower, Bay Tower, Eden Gardens are large landmark projects that helped reshape the residential supply of BCD. Although they are not directly on the seafront, some of these projects enjoy open sea views from the upper levels. The large plots of land also ensure that towers have sufficient setbacks to provide pleasant open spaces for good natural light and ventilation. In Solidere’s original Master Plan, the area around Ahmad Chaouki Street was designated as a hospitality sector. It was then converted into a residential neighborhood. However, although all the projects currently taking place there are strictly residential, two plots are yet to be developed. Given the current poor performance of the residential sector and the massive supply that will be soon entering the market, it might be a smart strategy to reallocate the usage of these remaining plots. The neighborhood around Ahmad Chaouki Street is close enough to highly renowned office landmarks to potentially attract office developments. Starco and New Starco are halfway down the block, while perpendicular Park Avenue leads to the likes of Berytus Parks, Audi Plaza, Stratum, and the M1 Building. An office supply on Ahmad Chaouki will provide added momentum to the neighborhood and will help interweave the flow of traffic across the different areas of BCD by mingling the type of supply each area offers. Apart from Balthus and, more recently, Yabani and L’Avenue, there are very few prestigious retail brand names along Ahmad Chaouki Street. There is a bank and a clothing boutique. The remaining stores are empty and up for rent or sale. However, the neighborhood is still a construction site and has very limited traffic. The shops are also too large, eliciting little interest from potential retailers. The street receives rough competition from nearby Park Avenue and Wafic Sinno Street, which is wider and a much busier traffic axis that offers excellent visibility for high-end retail. 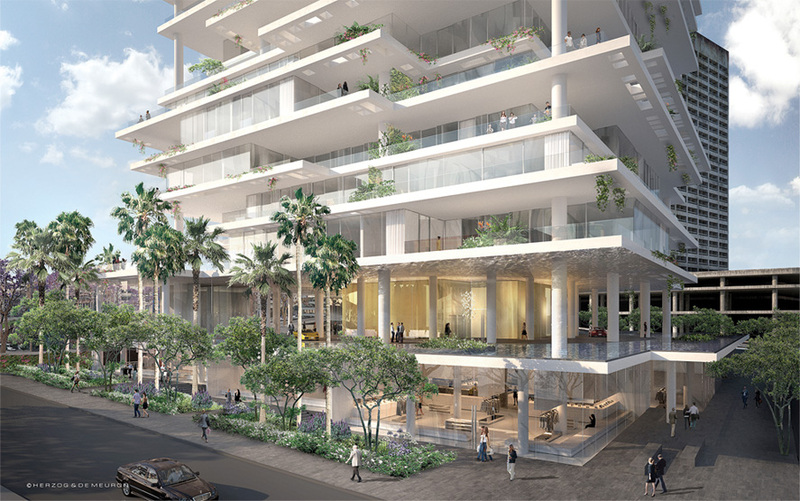 With the large supply of additional retail that will come from the buildings currently under construction, retail space might be in even greater over-supply. As it is surrounded by busier main traffic thoroughfares, such as Omar Daouk Street, the main passage into Ras Beirut, or Wafic Sinno Avenue that leads to Zaitunay Bay, Ahmad Chaouki still needs some time to establish itself as a retail destination. Residential units start at asking prices of USD 6,500 to USD 7,300 per SQM on the first floor. After the obligatory discount, this means that selling prices on Ahmad Chaouki Street revolve around USD 6,000 per SQM on the first floor. These selling prices translate into a rental value around USD 200 per SMQ per year for a high-end apartment. Sea view can be obtained at an additional 30-40%. Retail space is posted at an asking rental value of USD 1,000-1,200 per SQM per year. These rates have attracted very few retailers to an area that is still in the making with very limited car traffic and no pedestrian flux, despite being, in our opinion, about 20-30% lower than what the area could be achieving. Ahmad Chaouki Street is therefore currently overpriced. However, such a wide, flat, and eventually beautifully landscaped street has the potential to becoming one of the capital’s most prestigious residential and shopping arteries – but in due time!